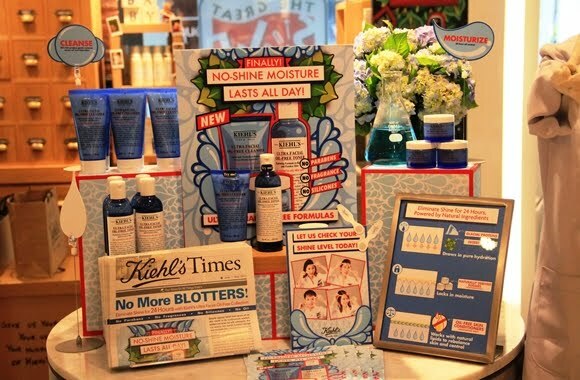 Kiehl’s Since 1851, the venerable New York-based purveyor of fine quality skin care is pleased to introduce a moisture-replenishing, skincare collection for normal to oily skin: Ultra Facial Oil-Free is clinically proven to balance skin in as little as 1 week*. The new breakthrough technology fuses the benefits of moisture-retaining ingredients and naturally-derived sugar to release pure hydration into skin and then lock in moisture. 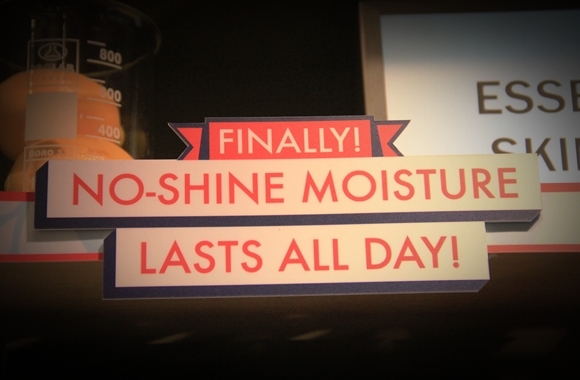 The results are scientifically proven 24-hours of shine control and long-lasting moisturization1. The daily regimen – featuring a cleanser, toner, and gel cream – works to visibly reduce oil on skin, without stripping skin of essential moisture and without the use of mattifying powders1. Despite popular belief that excess oil on skin needs to be continuously washed, blotted and dried out with astringents, this can lead to barrier function damage and moisture loss. Alternatively, not treating excess oil can cause clogged pores and breakouts which also lead to a damaged barrier function and moisture loss. Irritated skin will over produce oil and create shine. For skin that is normal to oily, without problematic acne, unusually large pores, or clinically excessive oil production, the ideal solution is to use the proper skincare regimen to rebalance skin’s hydration levels. 1. Rebalanced Skin – the skincare regimen works to ensure the correct balance of oils and hydration for a healthy skin barrier. -Water-infused humectants: Antarcticine protects skin from extreme external aggressors while moisture-retaining ingredients of Imperata Cylindrica and Glycerin draw pure hydration into the skin barrier and allow moisture to penetrate into the skin. - Naturally-derived sugar: helps lock in moisture and reinforces the skin barrier to prevent loss. 2. 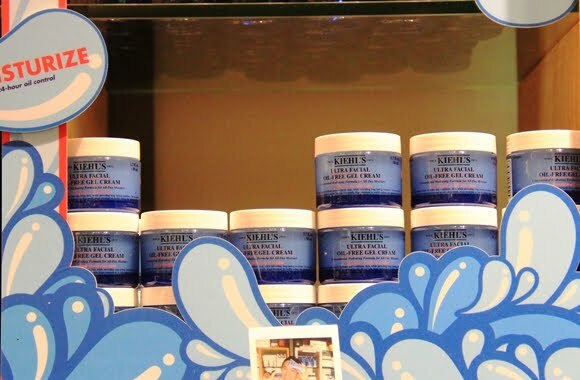 Oil-Free Skin Conditioners – highly compatible with normal to oily skin, the oil-free skin conditioners work with the natural lipids of the skin to control shine for up to 24 hours. The result? Scientifically proven all-day moisturization and shine control for 24 hours, leading to a healthier, fresher, more balanced appearance. 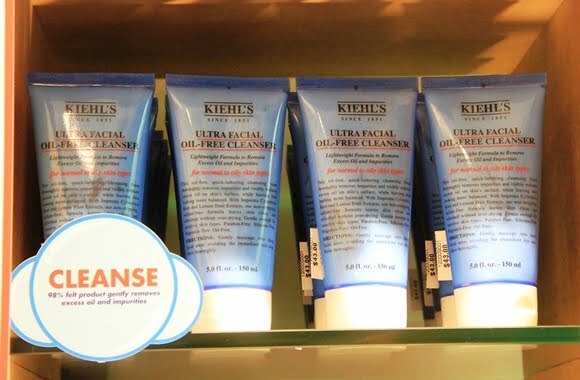 Ultra Facial Oil-free Cleanser- Lightweight Formula to remove excess oil and impurities. Ultra Facial Oil-free Toner- Hydrating Formula to balance and freshen skin. - Reduces shine on skin by 28 % immediately. Ultra Facial Oil-free Gel Cream- Hydrating Formula to balance and freshen skin. 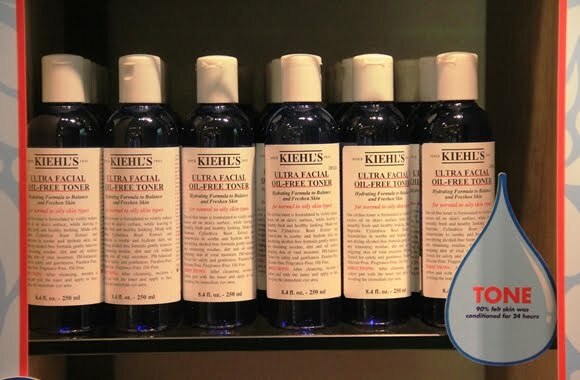 Find out more of the Ultra Facial Oil-free Collection here. 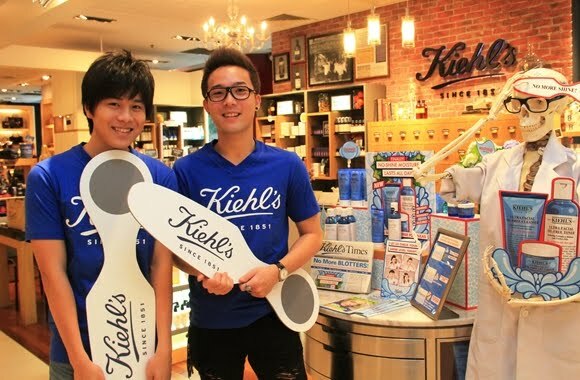 Kiehl's Boys invite you to give this new Ultra Facial Oil-free collection a try!!! 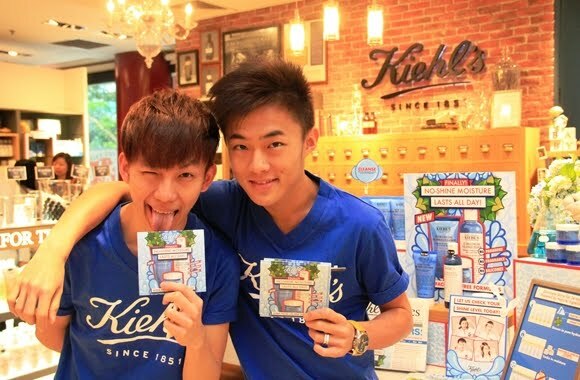 Visit any of the Kiehl's Store today!!! 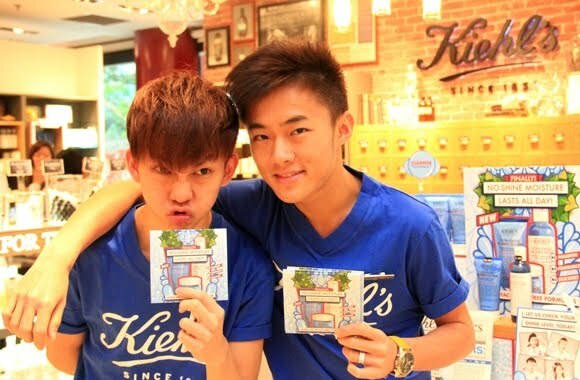 Fill up a profile card at the Kiehl's Store and receive updates of Kiehl's today!!! 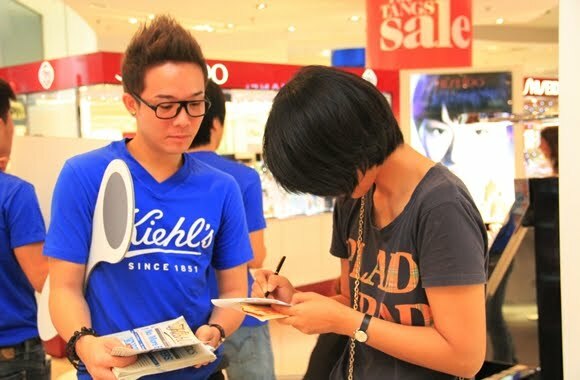 Wanna win a year supply of Kiehl's Product, click here.